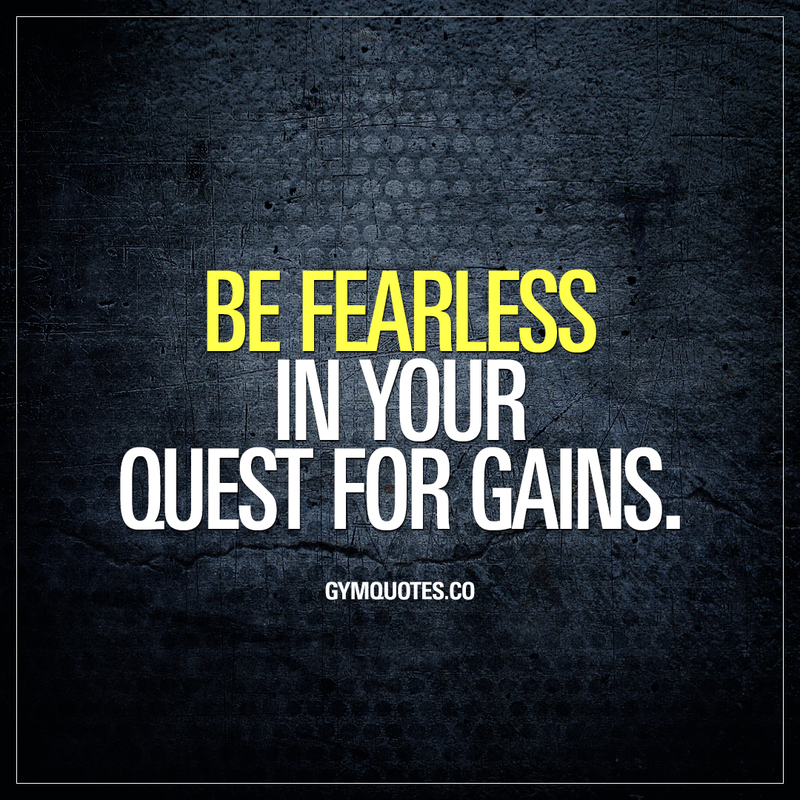 Best gym gains quotes: Be fearless in your quest for gains. Fearless means: “showing a lack of fear.” And that’s exactly what you need in order to get those gains. Fear nothing and there will be no limits. Be fearless in your quest for gains and you will make gains. There are many ways to be fearless when it comes to training. The most obvious one is to train harder. To push yourself to your limits in ways you did not know was possible. To push yourself to the point where it starts to hurt AND beyond. Another way is to try a new exercise or a new type of training. Try something new that will challenge your mind and body in new ways, making you grow and get those gains! Don’t hate me because I’m strong, fearless and lift heavy. You control your destiny. Be fearless.